While it has never been easier to wager on sports, the vast majority of the bets remain short-term. Obviously, much of that is a function of opportunity: There are far more individual games to bet on than there are long-term futures wagers. Compared with the night-to-night, luck-driven whims of baseball, basketball, or football games, though, such future wagers actually give bettors a much better chance to use serious objective analysis to gain an edge. And if you’re looking for one potentially profitable bet in particular, I’ve got just the angle: baseball over/under win totals. Welcome to Grantland’s fourth annual MLB Over/Under Jamboree. The premise of this column is simple: I compare my expectations for all 30 teams against the lines being put forth in Vegas and online. I then narrow the process down to the handful of over/under bets most likely to pan out in your favor. Beyond the obvious, immediate benefits to making a winning bet — more Gummi Bears, of course! — by digging deep on a few clubs, we’ll hopefully also gain some insight into how teams win ballgames, how oddsmakers believe teams win ballgames, and how disconnects between expectations and results arise. Last year was a good one in Over/Under land. I went 3-1 in the featured wagers I made in the 2014 column and 3-2 on other bets touted in the “Bonus Picks” section. I also snuck in an under bet just before Opening Day, when I noticed that Vegas hadn’t bothered to adjust its over/under number after Atlanta suffered multiple starting-pitching injuries. Too late to write up in the column, but a few more Gummi Bears added to my jar. Here are the MLB wagers I like the most for 2015. Blame Back to the Future Part II conspiracy theorists, momentum chasers, or just a nationwide rush of irrational fandom. Either way, the Cubs surging all the way up the board to 6-1 World Series odds is sheer lunacy. If shorting bets were allowed, I’d mortgage my house, 1.5 kidneys, and my entire collection of Bill Sampen bobbleheads. But while World Series odds are heavily swayed by simple betting interest, over/unders are so infrequently bet on that the lines usually come in much closer to what the fancy projection systems predict. If you can find even a two-game gap between your favorite casino and the average number spit out by the computers, that’s generally a wager you want to make. The Cubs don’t quite fit that description, but they come close. Using Sportsbook.ag, where I’ve been getting my lines over the past two years, the Cubs’ over/under number came in at 82.5. The mean for the five projections I looked at2 is 83.8. For multiple reasons, even that number looks too low. First, the computers most likely overestimate the amount of time überprospect Kris Bryant will spend in the minors. For instance, PECOTA projects the third baseman to amass 394 plate appearances this season, a number that more or less assumes he won’t be called up until after the approximate deadline for Super 2–eligible players has passed. Yesterday, Michael Baumann wrote about the decision the Cubs face in handling Bryant’s service time and the financial incentives they can reap if they can keep him off the major league roster a couple of months past Opening Day, in addition to all the ethical and competitive quandaries that would create. I’ve spoken to several sources — granted, none of them Cubs executives — who think it’s much more likely that Bryant comes up in mid-April, once he’s been in the minors long enough to enable the Cubs to control him for one extra year, but still several weeks before the Super 2 deadline. An extra 200 at-bats for Bryant could certainly net one additional win for the Cubs. Second, projection systems often undershoot win totals for teams with elite managers. From 2008 through 2013, the Rays beat their projected win number five out of six times. Granted, multiple factors contributed to that streak, from young players developing to random chance within a relatively small sample size, but based on the limited manager analytics we have, it does look like Joe Maddon, now manning the dugout on the north side of Chicago, squeezed an extra win or two per year out of his charges via savvy roster choices and in-game tactics. 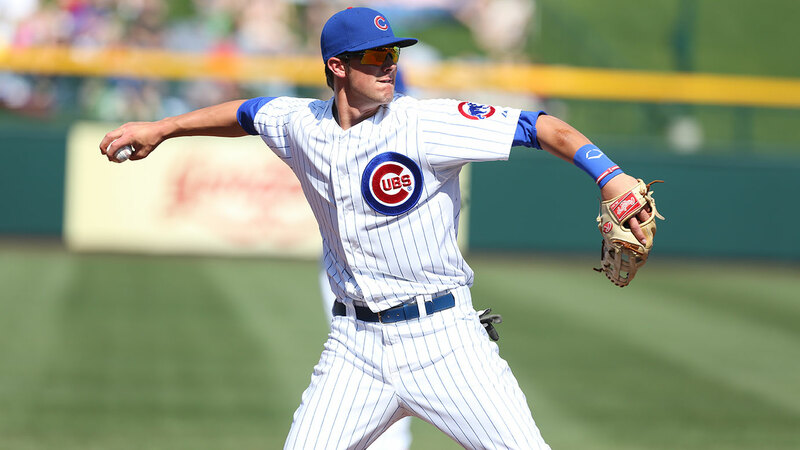 Third, if the Cubs are on pace for 80-something wins and in the midst of the wild-card race come June or July, president of baseball operations Theo Epstein and general manager Jed Hoyer have a battalion of prospects at their disposal to make a go-for-it trade to push their club over the top. I’m not ready to call the Cubs strong World Series contenders. Even making the playoffs could be a tough task, given the strength of usual suspects like the Cardinals, Dodgers, and Nationals, as well as improved smaller-market clubs like the Padres and Marlins. But with a significantly upgraded pitching staff, the addition of quality two-way catcher Miguel Montero, several kids poised for potential breakouts, and Maddon taking the reins, 83 wins looks very, very doable. The Cubs are my best over/under bet for 2015. Last year, I touted Astros as an over bet, reasoning that it’s just really hard to keep losing 100 games, which is how many Houston would’ve needed to drop for bettors to win an under wager. The Astros came through, winning a nearly respectable 70 games. The bar’s been set a bit higher in 2015, but I like this Astros team enough to slap some Gummis down on the over — and to rank Houston higher than last year’s American League champs in The 30. One of the leading drivers for a better season at Minute Maid Park should be George Springer. The 25-year-old outfielder is coming off a rookie season that showcased both his prodigious skills and sizable weaknesses. Springer launched 20 homers in 345 plate appearances, trailing only Giancarlo Stanton, Nelson Cruz, and teammate Chris Carter in HR/PA rate. He also struck out 33 percent of the time, placing him seventh in strikeout rate among 263 players with 300 or more PA. That elite power is consistent with his minor league numbers, but the strikeout rate is a fair bit higher than what he showed earlier in his pro career, offering hope for at least a couple fewer whiffs and something like a 35-homer campaign. Youth is also an obvious indicator of a soon-to-improve ballclub, and along with Springer, seven other starting position players and four of the five members of the starting rotation are under 30 years old. Now, before we get ahead of ourselves, this prediction isn’t to suggest there’s anything resembling a playoff team in Houston: The Astros just need to win 75 or more games. With a young roster bolstered by offseason pickups like Luis Valbuena at third and a couple of new arms for the bullpen, in addition to a mean projection from the computers for 78.7 wins, this is another high-confidence wager. 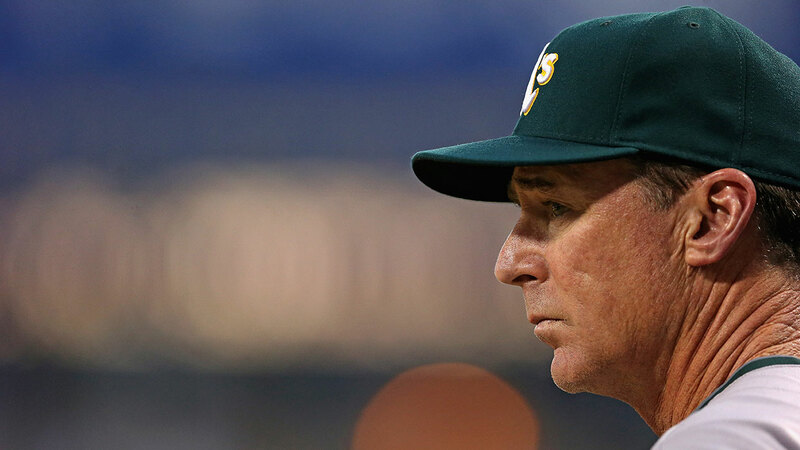 Losing Brandon Moss, Josh Donaldson, Derek Norris, and Yoenis Cespedes will cut into the A’s home run totals, and Oakland’s power was one of its strongest assets over the past three years. But despite the exodus of pop, this team looks like yet another overachieving Billy Beane/Bob Melvin mad-scientist group that offers all kinds of platoon and time-sharing possibilities that’ll boost the values of every player on the roster by helping to mask their weaknesses. The A’s also snagged a defensive stalwart in the incredibly versatile Ben Zobrist and added third baseman Brett Lawrie, who, after flashing the kind of skills that suggested a future breakout for a few years now, might finally be ready to put everything together at age 25. Of course, with the departures of Jon Lester and Jeff Samardzija, the rotation has been remade — and many would say “reduced.” But newly acquired right-hander Jesse Hahn has star potential, with a fastball and a curve that induce lots of whiffs and that led to a ground-ball rate above 50 percent in his rookie 2014 season. 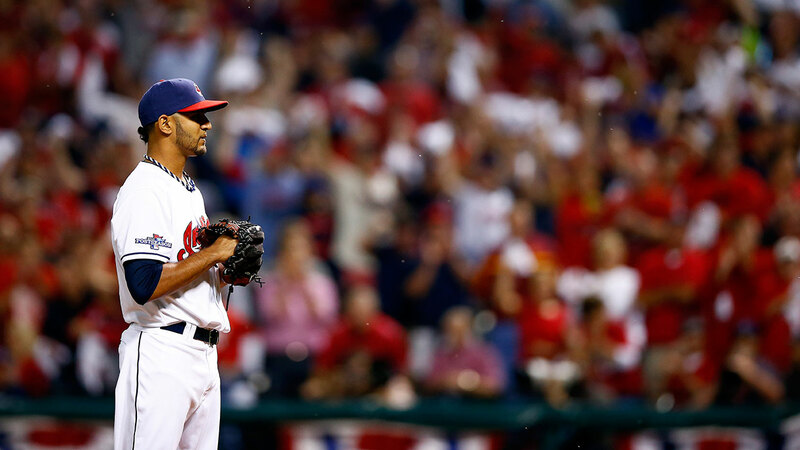 Other pitching reinforcements will arrive in-season, as A.J. Griffin and Jarrod Parker work their way back from Tommy John. Meanwhile, the bullpen could be beastly again, with Tyler Clippard claiming the closer role while Sean Doolittle rehabs from rotator-cuff surgery, and all the other key contributors returning from last season’s stingy group. It’d be tough to pick the A’s to win the AL West, given the formidable competition they’ll likely face from the Angels and the Mariners, and a fourth-straight playoff berth might even be a long shot. But can they clear 81.5 wins? When the nerds have them, on aggregate, a shade better than 83: absolutely. Yes, I’m going back to the well on the Rays after passing on them for two straight seasons. Yes, all four of this year’s bets are overs. Yes, all of that gives me pause. And yes, Tampa Bay is the weakest of the four bets. But there’s still enough here to convince me to put my last few handfuls of Gummis on the line. It starts with the Rays’ starting rotation, which is the best in the AL East. The only thing stopping Alex Cobb from becoming a Cy Young contender at this point is an ability to avoid freakish, non-arm-related injuries: We’re talking about a pitcher with a strikeout-to-walk rate better than 3-to-1, a scant 24 homers allowed in 309.2 innings, and a 2.82 ERA over the past two seasons. I’m also head over heels for Drew Smyly and the prospect of his high-fastball approach at the Trop, while Chris Archer’s an emerging star, and Jake Odorizzi emerged as one of the best strikeout artists in the league last year. If the recovering Matt Moore can return to even 90 percent of his pre–Tommy John level in June, this will be a brutal rotation, one through five. Were it not for the question-filled lineup, we’d be talking about the Rays as a strong playoff contender rather than sweating their ability to reach .500. Losing Zobrist is the biggest hit; after that, we’re talking about a bunch of departures that are more about name value than actual production. Outfielder Matt Joyce was a decent on-base threat but couldn’t manage even double-digit home runs. Shortstop Yunel Escobar had one of the worst years of his career, with his defense growing particularly ugly. Jose Molina’s pitch-framing skills might be legendary, but he’s a truly awful baseball player in every other way, and newly acquired Rene Rivera will be a clear upgrade at catcher. As for Wil Myers, the young right fielder might one day reach the potential that made me (and many of my colleagues) freak out when the Royals flipped him and a bunch of other prospects for James Shields and Wade Davis, but he was absolutely atrocious last year, batting .222/.294/.320, in addition to providing sometimes scatterbrained defense and just 87 games played. Although you might question the bona fides of newly installed starters like Steven Souza and Nick Franklin — and rightfully so, given their limited major league track records — after the Rays finished dead last in the American League in runs scored last season, any flicker of competence would represent an upgrade. I’m not buying PECOTA’s call of 86 wins — that assumes too many factors falling in the Rays’ favor — but I do like them enough to support one of those ugly-bet wins in which a mediocre team inches just past the number to reward your faith. In the slightly obscure and often profitable world of over/under bets, that’s plenty good enough. In addition to the four wagers I actually made, here are a few more words and a few more bets I considered but ultimately resisted. Since the Tribe had opened at 81 wins at the Atlantis casino in Reno before jumping up to 83.5, this more or less came down to nitpicking over 2.5 wins. I’m still extremely bullish on the Indians this year, though. Given that they’re coming off an 85-win season and have an offense that added Brandon Moss and a pitching staff filled with multiple breakout candidates, I might even talk myself into this bet before Opening Day. I ranked them 26th in The 30, but that was with a bunch of caveats, including a note about how better health could lead to noticeable improvement after last season’s injury apocalypse. A month from Opening Day, with everyone on the field, this is a pretty talented team. Here’s what really worries me about the Reds: If they’re out of or even on the fringes of the race come July, they’ll have so many veteran players — notably, Johnny Cueto and Jay Bruce — who’d make tempting trade bait that it would be hard to imagine them holding on to either one. The projection systems peg them at 77, and even that could be a bit too high, especially if the team gets off to a slow start. All the over/under numbers in this column were current as of February 16, when I placed my bets. Some have since changed slightly. PECOTA, ZiPS, Fangraphs, Davenport, and ESPN.com writer Dave Schoenfield’s picks.